Patient and Forbearing God, give us new vision, for we no longer see each other. Our neighbor is indistinct, a blur in the corner of the careless eye. Give us new memories, for we have forgotten each other’s names. No one calls out in greeting, happy to know we are all still alive. Give us new hands, for we cannot feel the texture of the neighbor’s jagged pain, or the raised scar on the face of earth. Give us beating hearts, for telling time correctly is a lost art. The fig tree’s unproductive branches raise no alarm, no shiver down the spine. Give us Jesus, for without him we cross the road, we step over the dying on the way to church, we pay nothing for anybody’s care. He saw us whole and knew our names. He felt our scars with wounded hands. He told the truthful time. 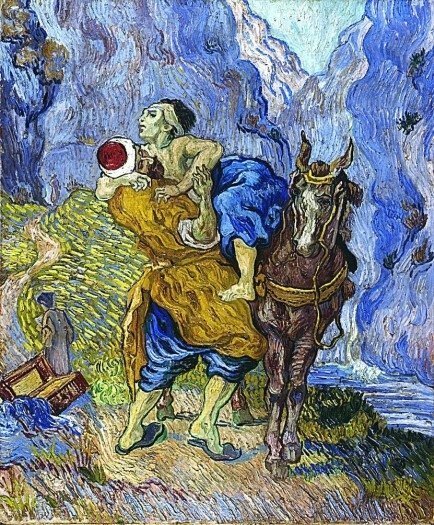 He dragged us out of ditches where we lay unhelped, and emptied his pockets for our healing. His welcome was wide, his passion was fierce, his hope was rewarded, and his mercy never ends.